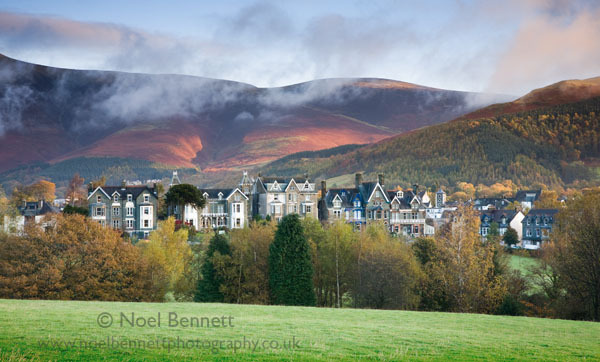 Noel Bennett Photography: at last the sun! On the 3rd day the sun showed itself. This photograph is a view of The Headlands looking from Crow Park. I loved the way the clouds floated over the hillside. I waited for the sun to come around and catch the bracken on the hillside.